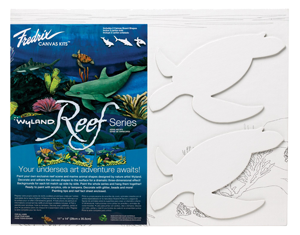 These kits were created by Fredrix Artist Canvas and Wyland, the renowned marine life artist and conservationist, to fire up your imagination about the undersea world. Paint the background, decorate the shapes and adhere them to the surface for a dramatic 3D effect. 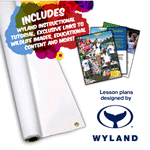 Each kit contains an 11" × 14" canvas panel pre-printed with a Wyland designed reef background, 2 sea animal canvas board shapes and a tips & info sheet. Made with recycled materials. 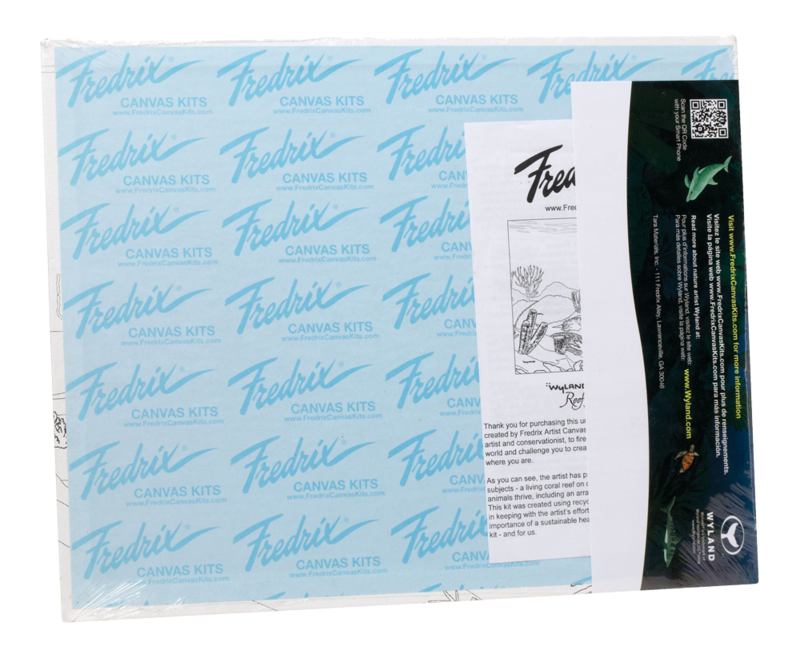 These kits were created by Fredrix Artist Canvas and Wyland, the renowned marine life artist and conservationist, to fire up your imagination about the undersea world. Paint the background, decorate the shapes and adhere them to the surface for a dramatic 3D effect. 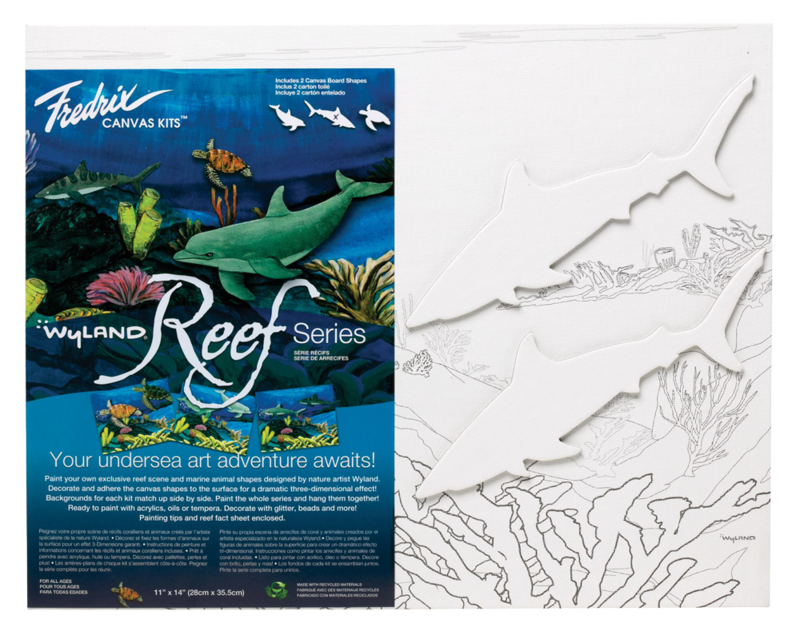 Each kit contains an 11" × 14" canvas panel pre-printed with a Wyland designed reef background, 2 dolphin canvas board shapes and a tips & info sheet. Made with recycled materials. 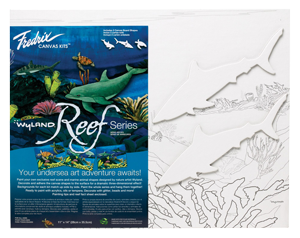 These kits were created by Fredrix Artist Canvas and Wyland, the renowned marine life artist and conservationist, to fire up your imagination about the undersea world. Paint the background, decorate the shapes and adhere them to the surface for a dramatic 3D effect. 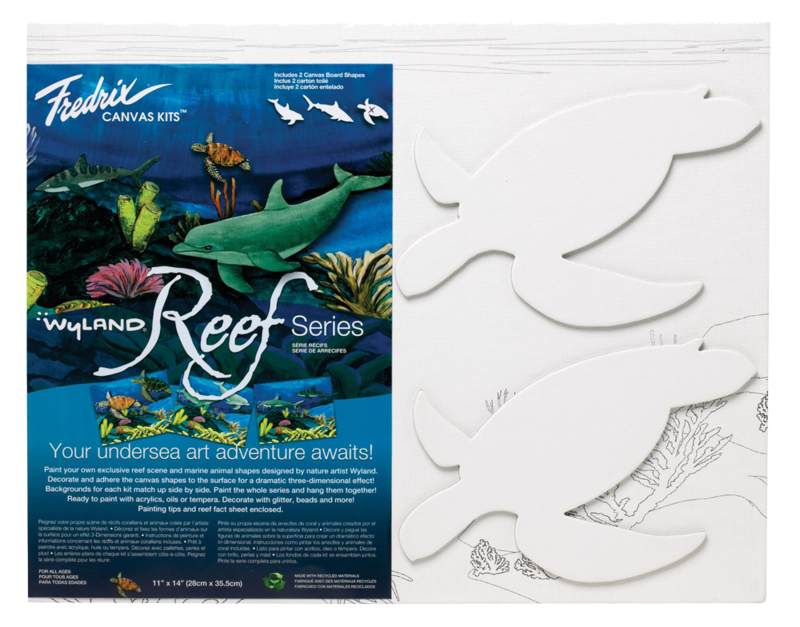 Each kit contains an 11" × 14" canvas panel pre-printed with a Wyland designed reef background, 2 turtle canvas board shapes and a tips & info sheet. Made with recycled materials. 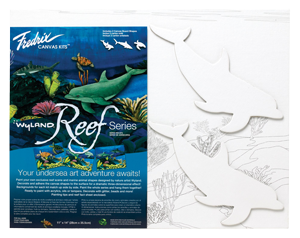 These kits were created by Fredrix Artist Canvas and Wyland, the renowned marine life artist and conservationist, to fire up your imagination about the undersea world. Paint the background, decorate the shapes and adhere them to the surface for a dramatic 3D effect. 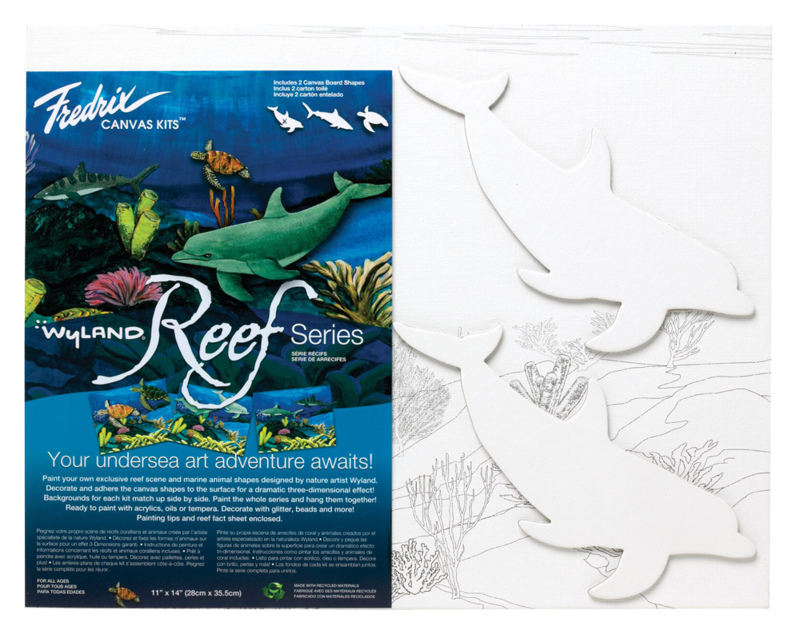 Each kit contains an 11" × 14" canvas panel pre-printed with a Wyland designed reef background, 2 sharks canvas board shapes and a tips & info sheet. Made with recycled materials.